1-ply maxi jumbo toilet rolls are ideal for use in busy washroom environments. 1-ply maxi jumbo toilet rolls are available in either a 60mm or 80mm core. 1-ply maxi jumbos are perfect for busy washrooms as they are longer than conventional toilet rolls and will last longer before needing to be replaced therefore reducing frequency of janitor checks and subsequently reducing staffing costs. 2-ply maxi jumbo toilet rolls are ideal for use in busy washroom environments. 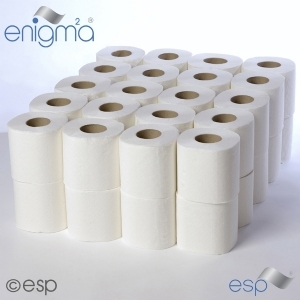 2-ply mini jumbo toilet rolls are available as 300m and 400m rolls with either a 60mm or 80mm core. 2-ply maxi jumbos are perfect for busy washrooms as they are longer than conventional toilet rolls and will last longer before needing to be replaced therefore reducing frequency of janitor checks and subsequently reducing staffing costs. 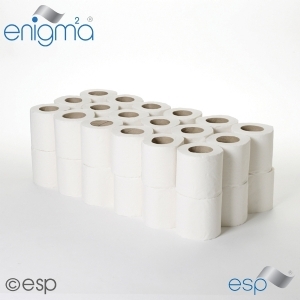 Standard toilet rolls are ideal for use in washrooms where a basic quad pack conventional toilet roll is required. 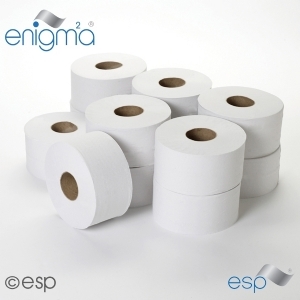 The standard toilet tissue is available in 2-ply white 200 sheet rolls, packed in fours (4-pack). Standard toilet rolls are perfect for washroom environments where a domestic conventional toilet roll is required away from home. 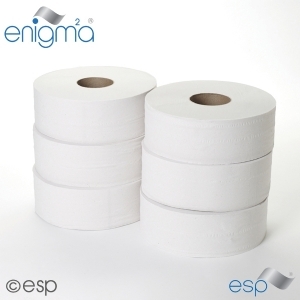 Standard toilet rolls are ideal for use in washrooms where a basic twin pack conventional toilet roll is required. 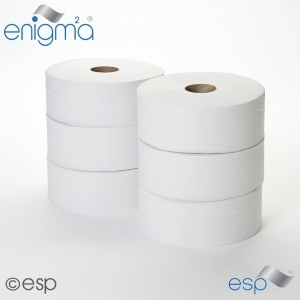 The standard toilet tissue is available in 2-ply white 320 sheets rolls packed in twos. Standard toilet rolls are perfect for washroom environments where a domestic conventional toilet roll is required away from home. This luxury quilted toilet tissue is ideal for use in washrooms where conventional toilet roll won't do. 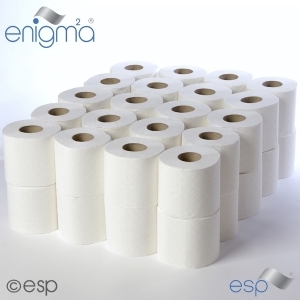 The tissue is available as a 3ply white quilted toilet roll packed in fours (4-pack). The luxury quilted tissue is perfect for superior washroom environments due to its quilted soft texture and absorbency.